A taster class is the perfect introduction to silver clay for the complete beginner. All taster classes are 2.5 hours and taught by Sian. 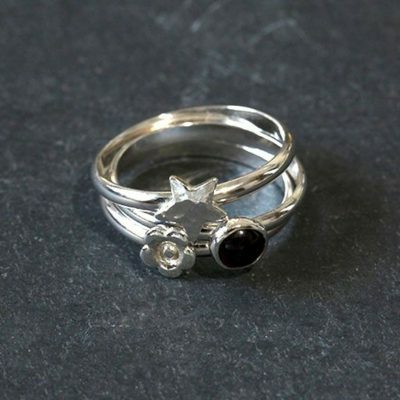 Full day or half day classes are usually to make a specific thing, currently we have a stacking rings day. Other classes coming are making your own textures, using base metal clays. These are all suitable for beginners. Two day classes include a double decker riveted pendant. This is an advanced class.